Bryce Harper’s reign as the MLB’s highest paid player is over after three weeks. Los Angeles Angels star outfielder Mike Trout is set to shatter Harper’s 13-year, $330 million deal he signed with the Phillies on Feb 28, with a record-setting 12-year, $430 million contract extension with the Angels, according to Jeff Passan of ESPN. Trout will receive an average of nearly $36 million a year, topping Zack Greinke’s previous record average of $34.4 million with the Arizona Diamondbacks. 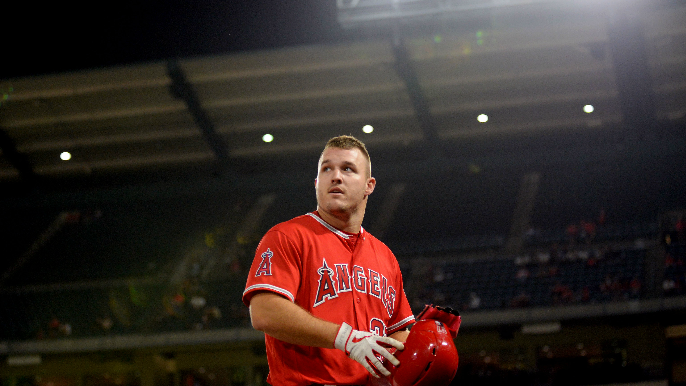 Trout, 27, was scheduled to hit free agency during the 2020 offseason, before Tuesday’s report. Trout has been selected to the All-Star team in each of his first seven full seasons, and has won the AL MVP award twice in 2014 and 2016. Since 2012 Trout has finished first or second in MVP voting every season except for 2017, and his .990 OPS over that span is the best in MLB. Trout is coming off another MVP caliber season where he slashed .312/.460/.628, posted the best OPS in baseball (1.088), and slugged 39 home runs. The Giants have struck out while making significant efforts to land top sluggers Harper and Giancarlo Stanton in consecutive off-seasons. They were expected to be players for Trout in 2020, but it appears now they won’t get the chance to do so.